Earn potential tax credits of up to $9,000 for each person with a disability you hire. Create a positive public image. Lower your turnover rate, saving time and money. Enjoy Positive, upbeat employees who are eager to learn. 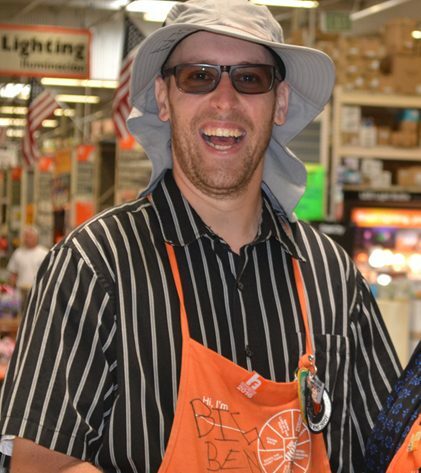 Ben brings smiles, enthusiasm and pride to both customer and colleague at Home Depot. They could not be more proud to have Ben’s talents and infectious personality as part of their Home Depot team. In fact, we awarded Home Depot the “Extra Mile Award” for the proud partnership we share with them. Both Ben and Home Depot know that we all benefit when offered an opportunity to contribute and achieve. Jonnie struggled to make sense of life after passing through the government-supported age of 18. His loving sister and conservator stepped up on his behalf. Together they realized that life in the small town of Big Bear and then five years in the Inland Empire, a better quality of life was to be more easily accessible by making a move into the Regional Center of Orange County with the help and resources provided by Project Independence. The move was well-warranted as Jonnie flourished with his new friends at Project Independence and the love of his sister and her new husband. 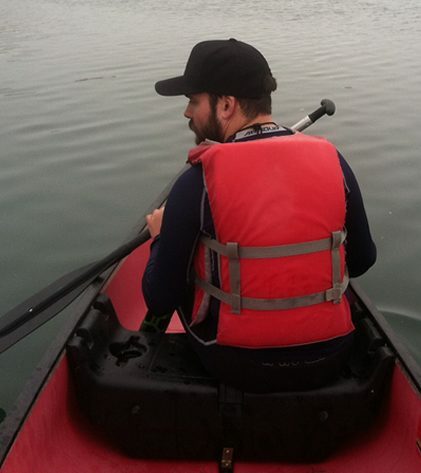 With the compassionate support from his family and his extended family at PI, Jonnie has built a life of independence, achievement and friendship. 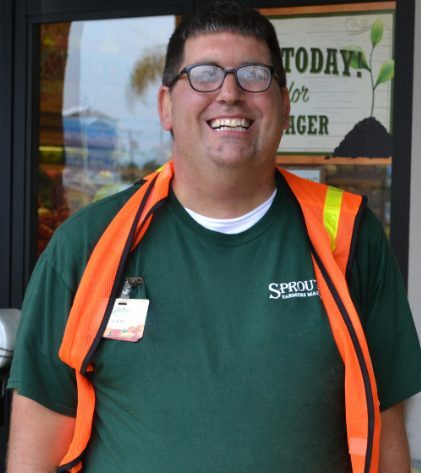 John’s energy, his love, his work ethic and his faith push him into making sure every customer at Sprouts is celebrated and made to feel special. For years John has known that when someone steps up, focuses on them with compassionate care and support, experiences change. With his partnership with Project Independence John knows that he is celebrated and wants to celebrate others. His care and work ethic are also applied to being the lead fundraiser for the Project Independence Walk for Independence for the past years. He is a joyful example for all of us to follow. 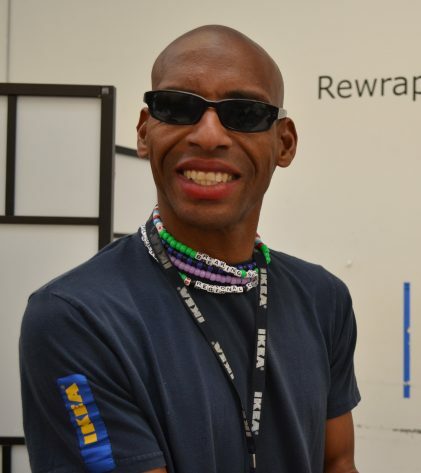 Marcell has proudly worked for IKEA for over 20 yrs. 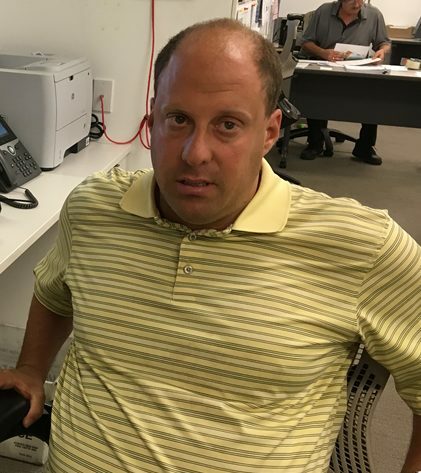 As a wonderful testimonial to him, he has moved through many of IKEA’s departments bringing his talents and strong work ethic to every position. 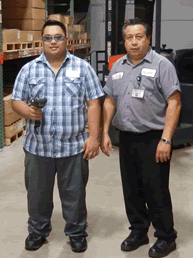 Marcell’s supervisors all agree that Marcell represents everything they look for when hiring an employee; conscientious, a strong work ethic and pride in a job well done. Marcell does take great pride in helping his employer maintain a “strong bottom line” and continually looks for ways where he can improve, aid and support the mission of the store itself. Both Project Independence and IKEA realize that we are lucky to have Marcell on our respective teams. Eric worked for California Assemblyman Alan Monsoor’s office as an office clerk from 5/13 to 9/13. While working for Assemblyman Monsoor, Eric provided valuable data entry skills by working quickly to keep up with the high demand of the job. 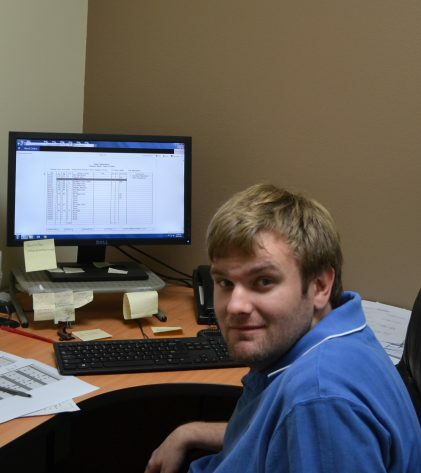 When a data clerk position opened at Project Independence in September, 2015, we knew Eric would be the right person for the job. Eric uploads scanned documents for both the IL and SE departments and does a great job!